Lawn repair, grass planting, lawn seeding, fall aeration & seeding​ services for the Newburgh & Boonville Indiana. 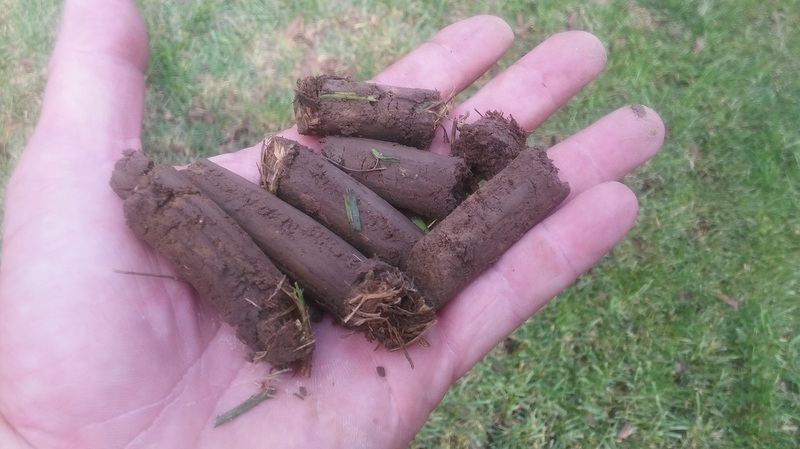 Soil compaction is often a culprit of a struggling lawn. In areas with a high clay content, like Indiana, this issue is more common. 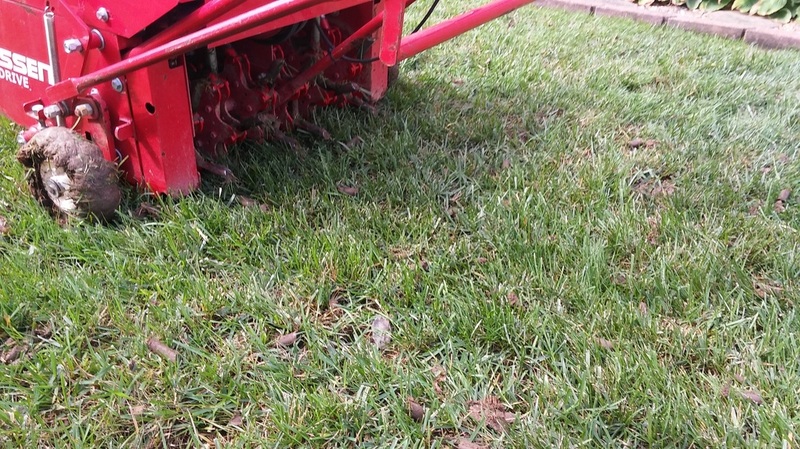 Aerifying goes a long way to help alleviate problems related to soil compaction. Core aeration is a process involving pulling plugs from the soil. This allows more oxygen to get to the roots, which gives the turf a chance to breathe. Microbes in the plugs are beneficial in breaking down excessive thatch. The hole left from aerating collects water and organic matter, softening the soil and allowing roots to easily grow and expand. As a result, grass is less susceptible to disease and more tolerant to drier conditions. 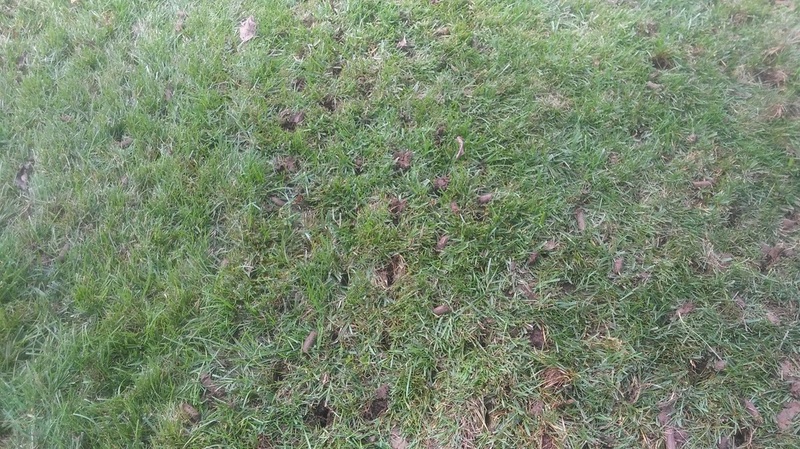 Lawn aerating can be done in the spring or fall or both. A good lawn care program will include weekly mowing, periodic fertilizing, proper watering & aerating the lawn. . However, spring or fall overseeding is the best cost effective way to revitalize a lawn. Overseeding is the sowing of grass seed into a yard without damaging the existing turf or disturbing the soil.to improve the thickness and overall vitality of the lawn. Proper preparation, knowing what type of seed to use, correct timing and watering are the main steps to successfully seeding a lawn. Overseeding in the spring and fall iare usually accompanied by lawn aeration and fertilizing. The best method for repairing an thinning lawn is to overseed in the spring or fall.. One way to address bare areas is to plant grass seed with a very thin layer of potting soil or top dressing. The soil provides cover for the seed to hold water needed for it to grow & keeps the grass seed from becoming bird food or washing away. A quicker way to repair damaged spots - from high traffic and pet damage - is to incorporate sod. Planting sod, although more expensive, is an instant weed free fix. Sod can be planted any time during the growing season, and establishes quickly with proper watering.